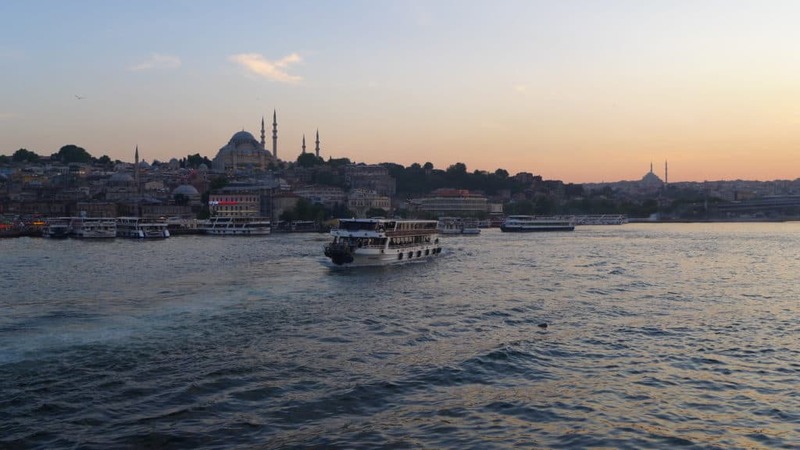 Ohhh, Istanbul…what a complex, vibrant, delicious, fascinating place you are! 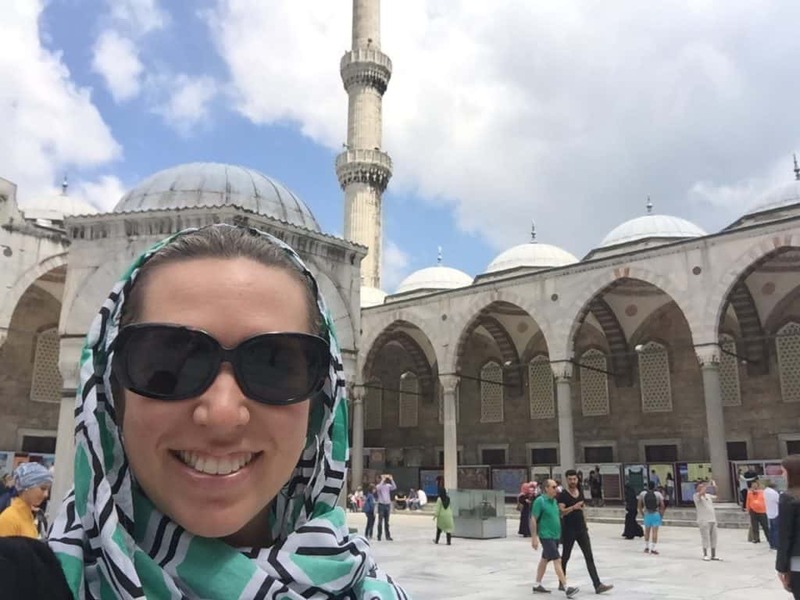 I had the opportunity to visit Turkey for the first time last year, and was instantly captivated by the east-meets-west blend, the friendly people, bright colors, and amazing food. We had three days on our visit, but we visited pretty much all of the main historical sites in just one day. 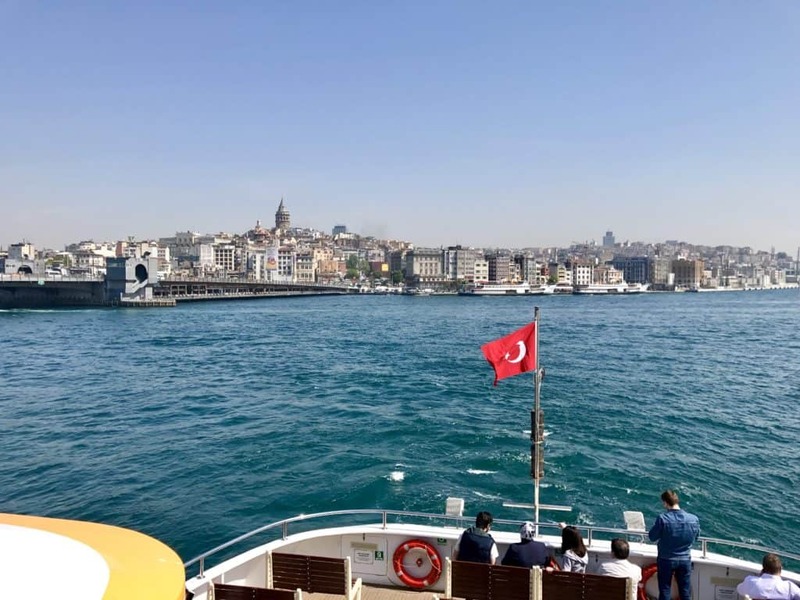 And since lots of people use Turkish Air’s long layover policy to spend a bit of time here, I wanted to give them the tools to make the most of a day in this awesome city. Fair warning: this post is pretty long! 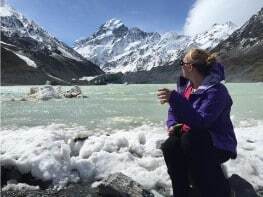 That’s because 1) you can fit a lot into one day, and 2) I wanted to give you as many extra tips as I could to help you plan your adventure. But you can skip through it pretty quickly if you’re in a hurry, or pin it to come back later as you build your itinerary. 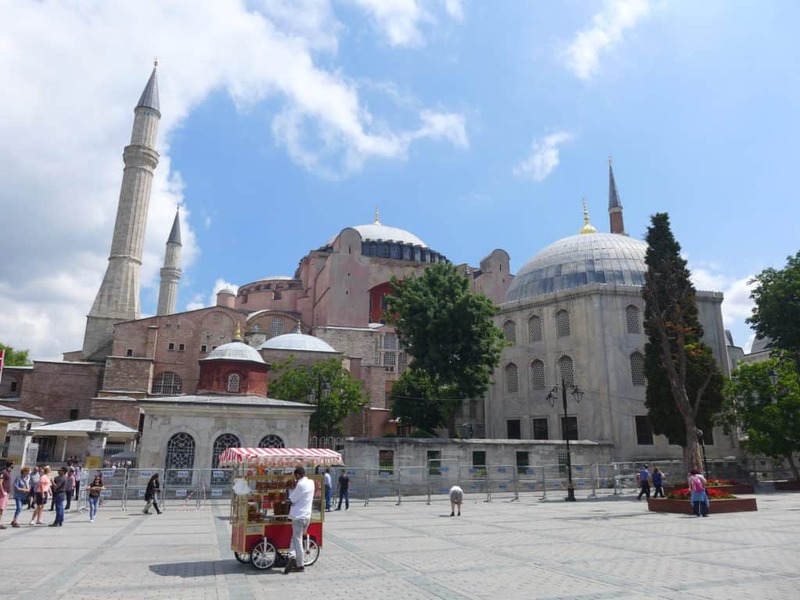 This will look like a lot to accomplish in one day, but the Blue Mosque, Hagia Sofia, Basilica Cistern, and Hippodrome are all literally on top of each other, just steps apart. So you don’t have to factor in travel time between a lot of places. Additionally, some places are just a “get the flavor” stop, not time-consuming. I’ve put some recommended timing with each stop, but these are just guidelines. I’ve also mentioned where I felt a “must-see” site was skippable. Note, we didn’t go to Topkapi Palace or Dohlmabace Palace, so can’t advise on those. Be prepared for a lot of walking (and it is hilly!). Don’t be afraid to use the tram system though. It’s easy to use and only goes on a straight line so it’s nearly impossible to get lost. One option is to get the Istanbulkart card and re-fill it. Multiple people can use the same card, which is super helpful—just swipe it and then pass to the next person. 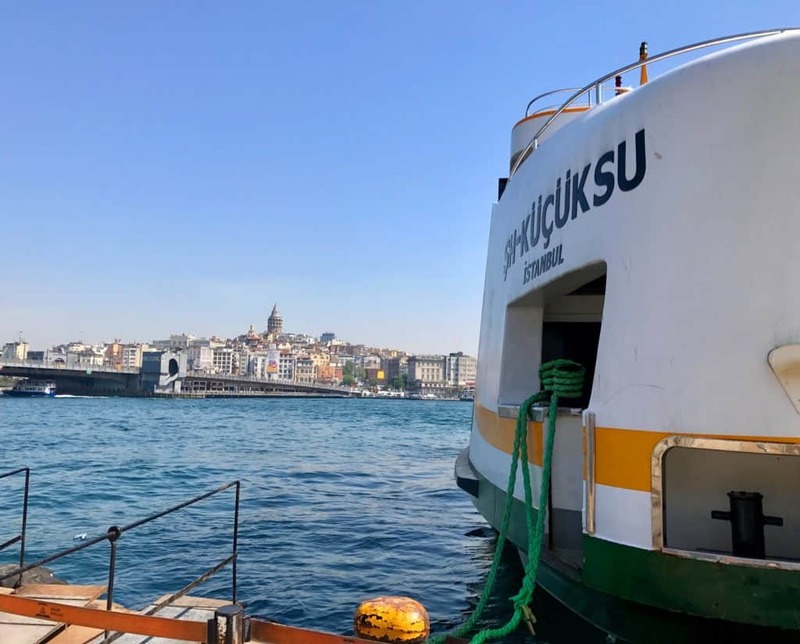 It can be used on metro, ferries, tünel, etc. Remember to check ahead of time when things are open. For instance, most mosques are closed or have very restricted hours on Fridays, so it’s not the best day to plan visits to them. 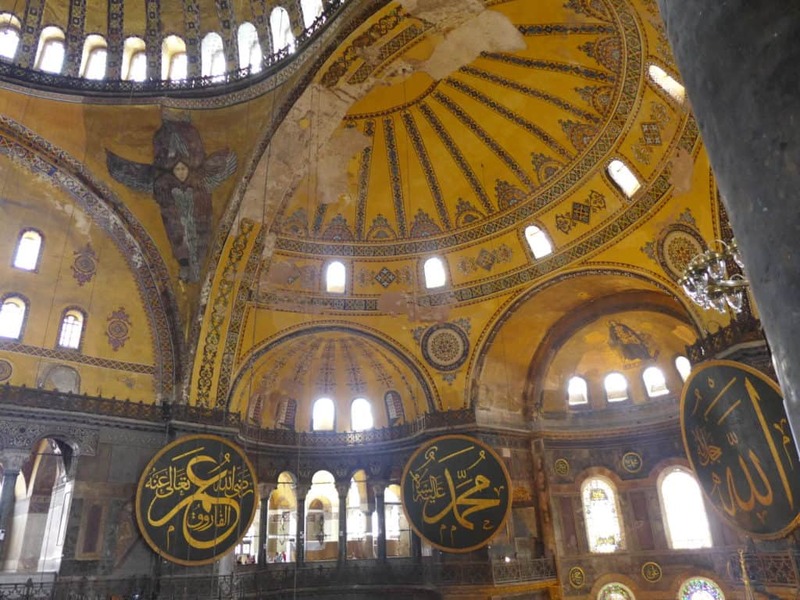 Hagia Sophia is closed Mondays. This map outlines the sites I’ve recommended, so you can see how close together they are. 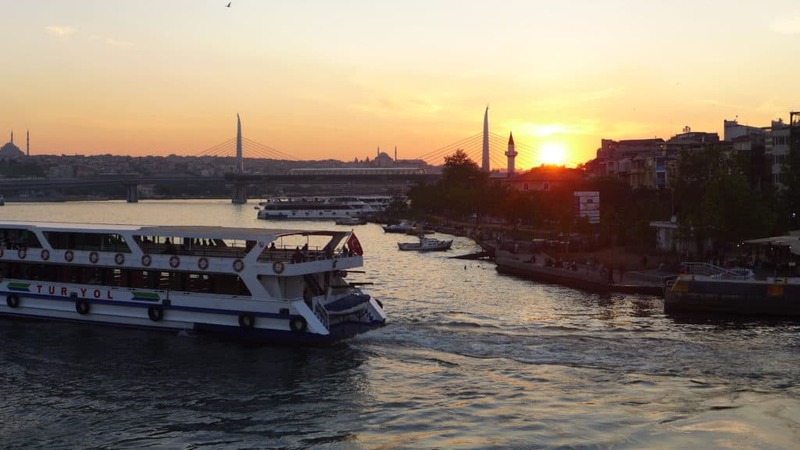 The only real outliers are Galata Tower and Taksim Square across the bridge. To me, Galata Tower is skippable if you’re short on time, it just happened to be a few steps from where we stayed. Don’t go out of your way to visit Taksim Square, but if you’re in Istanbul overnight then it’s totally worth walking up and down Istiklal Street toward the square to experience the vibrant nightlife. 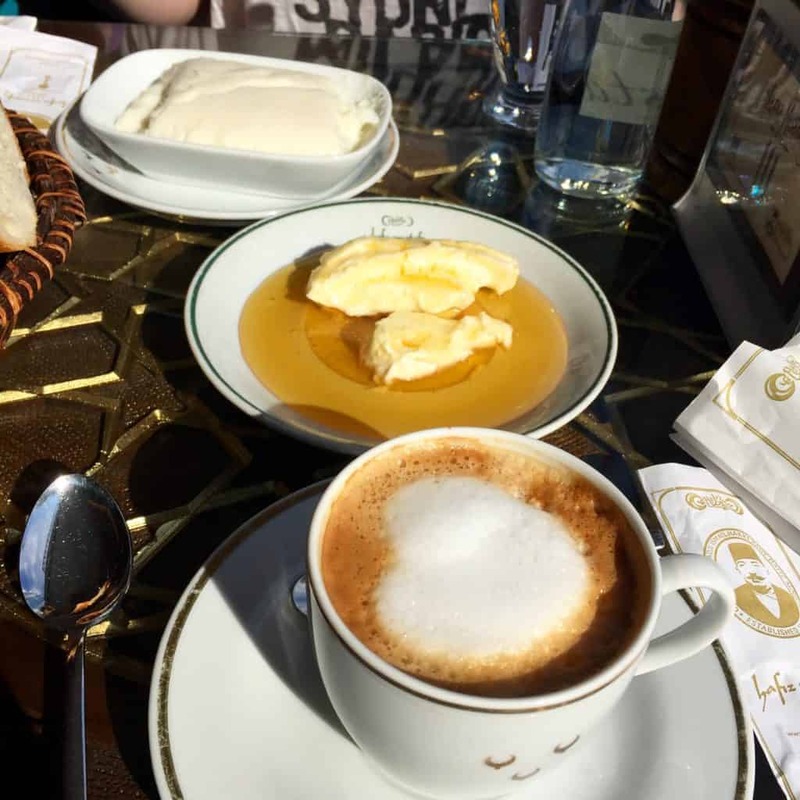 Turkey’s food is so good that you have no excuse to skip breakfast—it’s part of the experience. 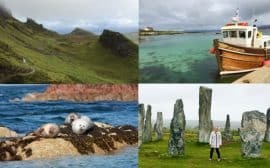 There are a couple great options for this one-day itinerary. 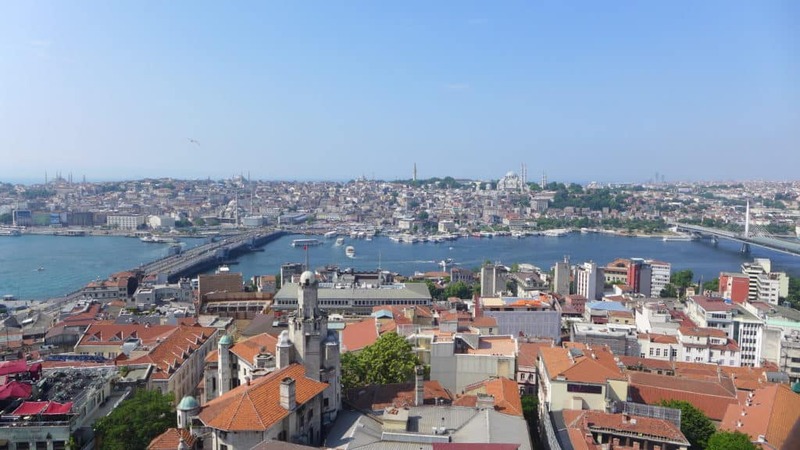 Conversely, you can grab coffee, bread and honey, and menemen (Turkish-style scrambled eggs with tomatoes, onions, peppers, and sausage) in the shadow of Galata Tower, then pay the 25 lira (about $9) to go up for the view. The breakfast was awesome. The view was nice, but not quite as breathtaking as I’d anticipated. Constructed in the 6th century for the Byzantine emperor, the underground cistern covers the length of two football fields and can hold 27 million gallons of water. 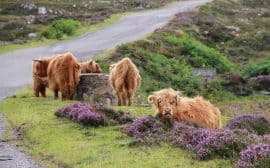 This is a good place to get out of the way early, as crowds are lighter in the morning and it’s a pretty quick visit—20 to 30 minutes should be all you need here. I believe it opens around 9:00am and the fee is 20 lira to enter, but check the website to be sure. 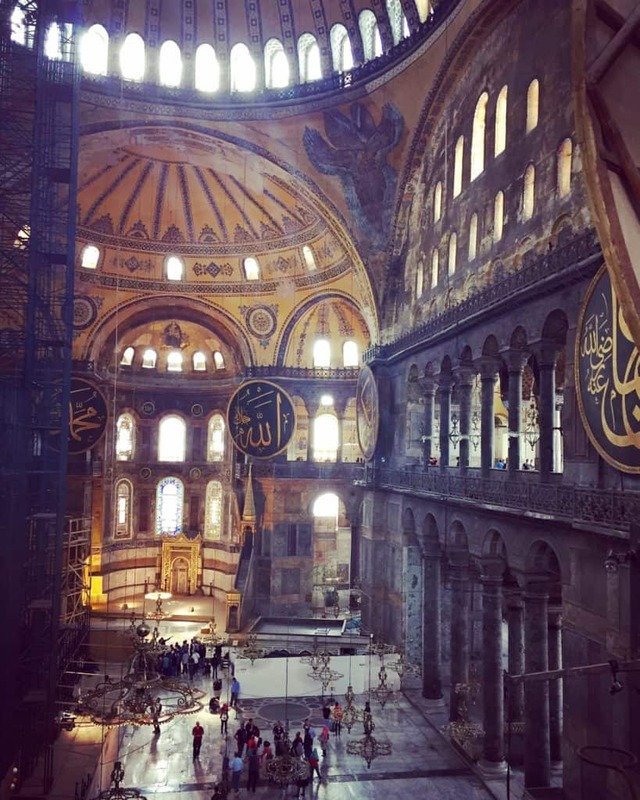 Hagia Sophia is one of the most famous buildings in the world, and has served three different religions—pagan, Eastern Orthodox Christian, and Sunni Muslim. It’s been a museum since 1935, and is a really interesting and beautiful place to see layers of religious history. I remember reading about it in my middle school World History class, it’s that well-known. The entrance fee is 40 lira (about $14), and you can either buy your tickets online or when you get there. Check the website for times to be sure, but it’s typically open 9a-7p and is closed on Mondays and religious holidays. It has been build three times as a Christian church, first in the 300s, again in the 400s, and then in the 500s by Justinian. 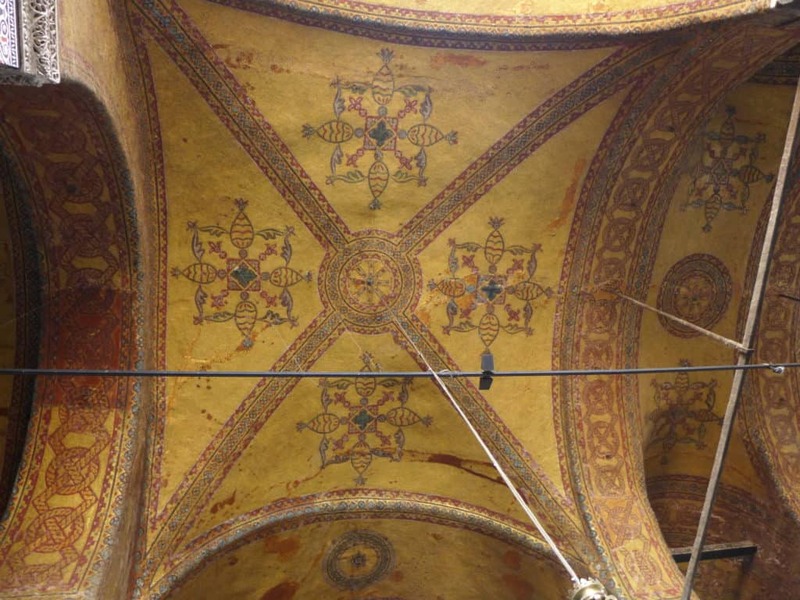 It was the high water mark of Byzantine architecture, and the dome was the greatest in the world until Florence’s duomo at Santa Maria del Fiori was built a thousand years later. Two fun facts about the dome’s massive scale: you could fit the Statue of Liberty (minus her torch) or Notre Dame Cathedral under the dome. It’s that big. There was scaffolding up when we went, as it was undergoing some renovation. We were still able to get some really good photos though. 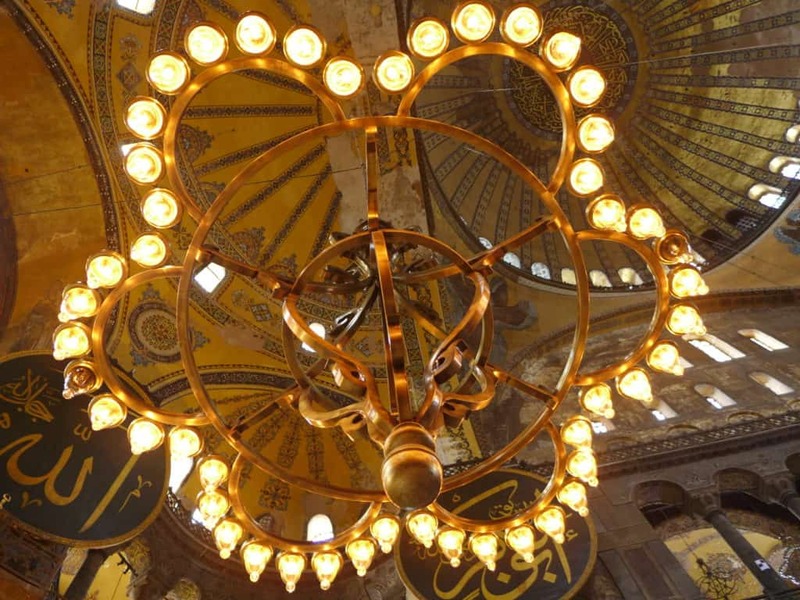 When the Ottomans conquered Constantinople in the 1400s, they converted Hagia Sophia to a mosque. It’s interesting to see the juxtaposition of Christian and Muslim colors, patterns, and icons right on top of each other. 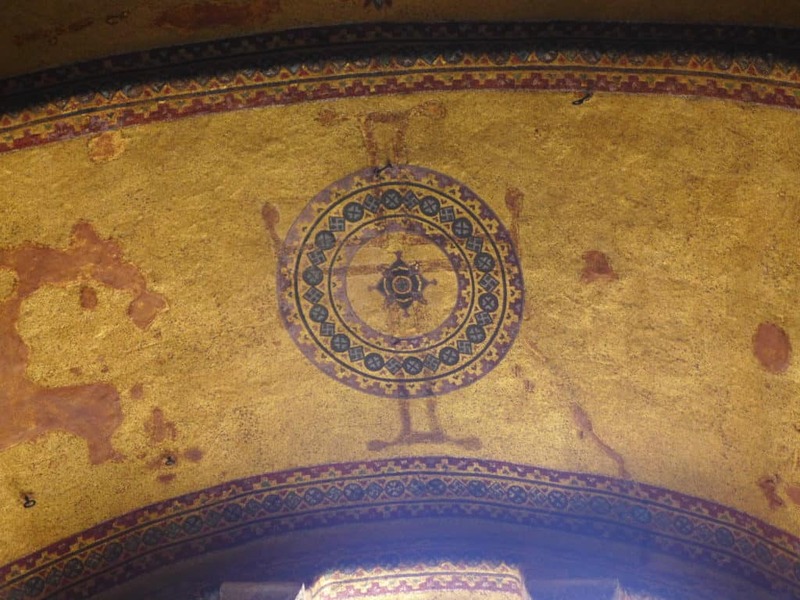 You can see places where a cross once rested, or where they’ve uncovered Christian mosaics that were plastered or tiled over. And the colors are just unreal, especially on a sunny day! One fun tip: keep an eye out for the “Viking graffiti” that was carved into the wooden rails of the top floor. 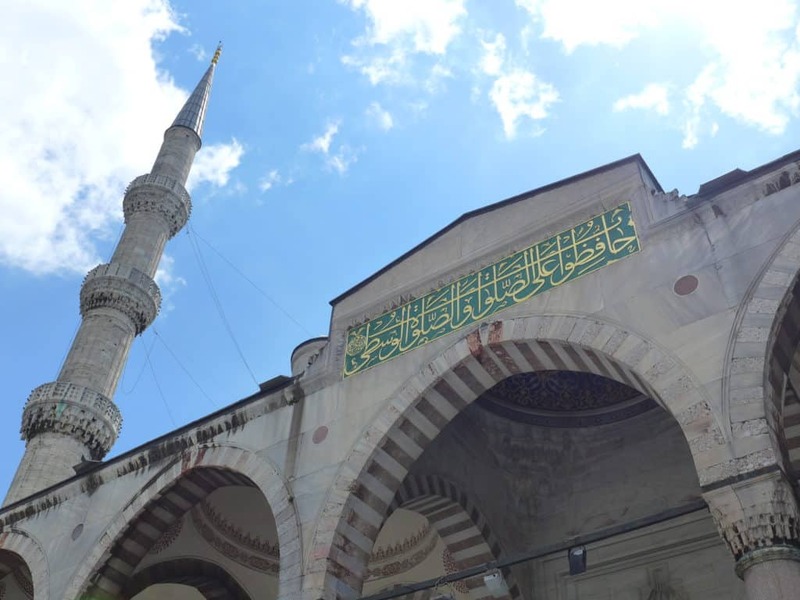 Named for its patron, this mosque is one of the most iconic images of Istanbul, and its nickname highlights the blue-hued tiles that it’s famous for. 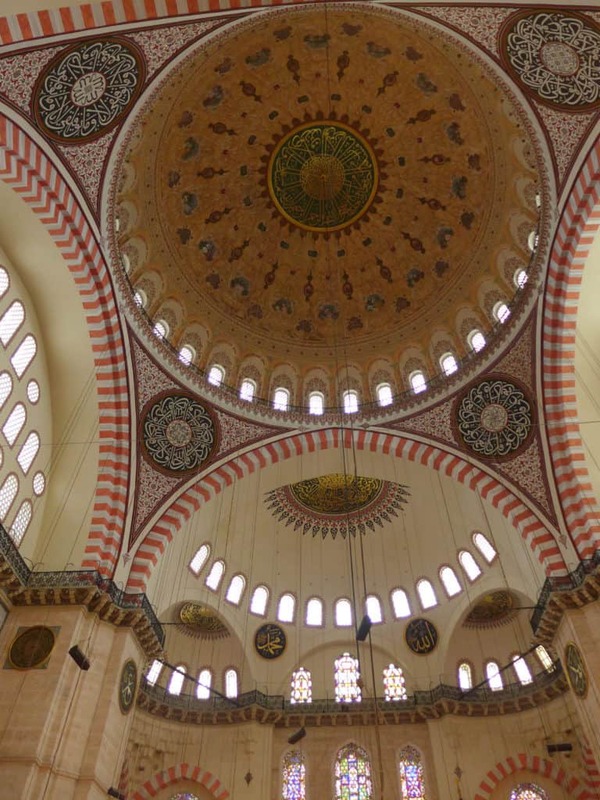 This was Sultan Ahmet’s 17th-century answer to Hagia Sophia. 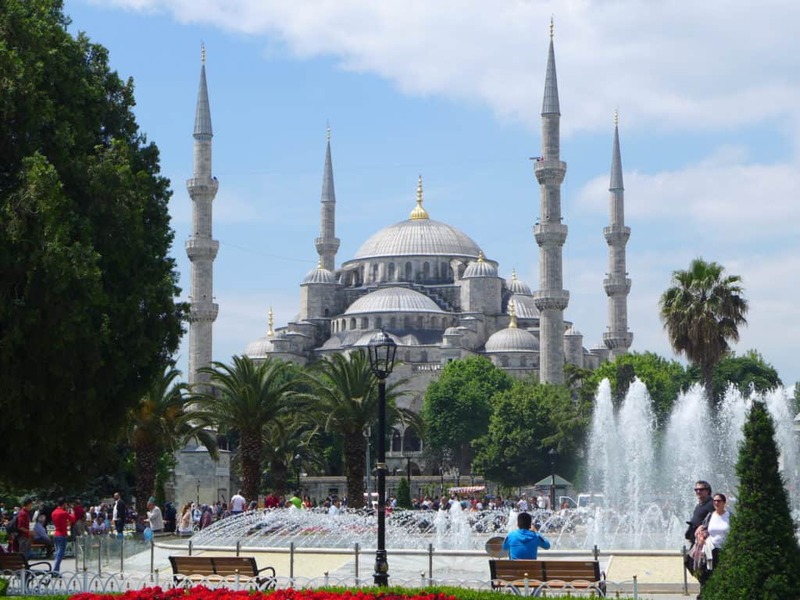 The minarets of the Blue Mosque rivaled the ones in Mecca. 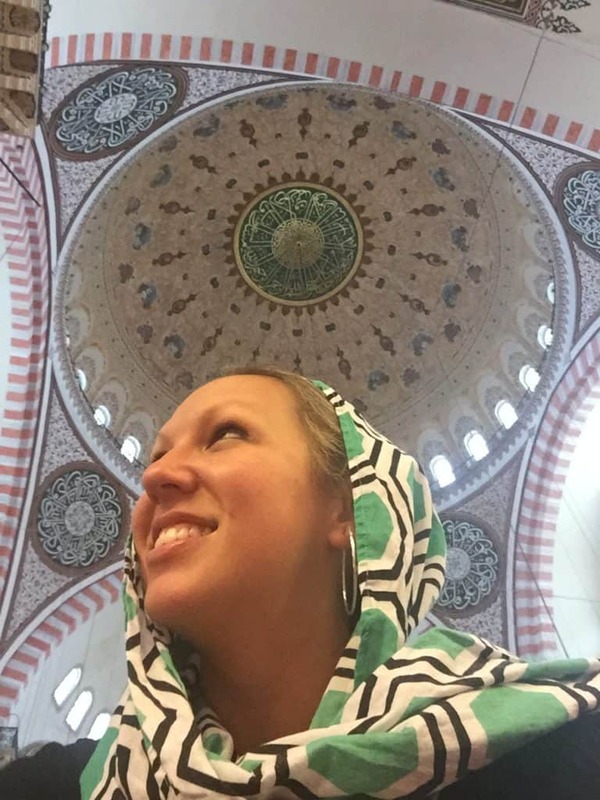 The mosque has no entrance fee, and there’s usually a long line but it moves fairly quickly. It’s closed on Fridays until 3pm and several other times for prayers, so look up the schedule ahead of time. 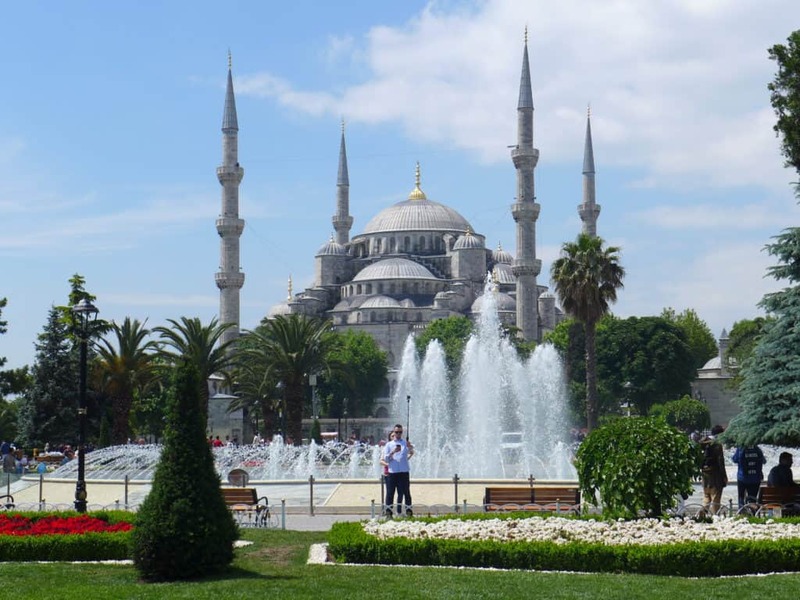 Also, for those not as familiar with Muslim culture, there’s a lot you can do to plan ahead and make sure your visit is smooth, which I’ve outlined below. As with all mosques, your legs and shoulders must be covered. No shorts for men or women, and if women are wearing pants they’ll be given a large long skirt to slip on over. Don’t get used to this, it’s not typically at any of the other mosques, you’ll just get turned away; I recommend wearing a maxi skirt and grouping your mosque visits on the same day. You do have to remove your shoes to enter, and I’d recommend keeping a plastic bag with you (they may provide one, but better to be safe). Also, as I’m sure you know, you have to have your head covered. I kept a scarf in my purse at all times, so could quickly throw it on whenever I needed to. 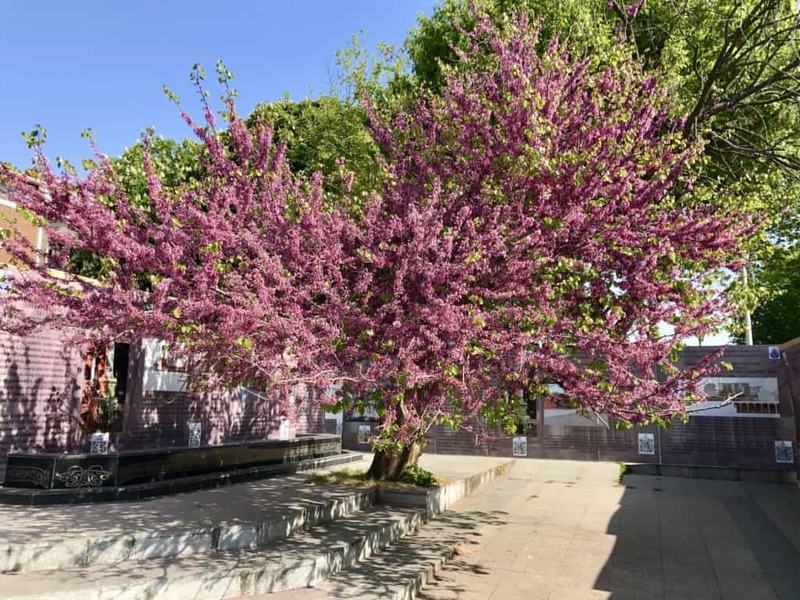 Don’t feel like you need to wear it outside of mosques (and you might get some strange looks if you do), but as soon as you enter the courtyard you should put it on to be respectful. 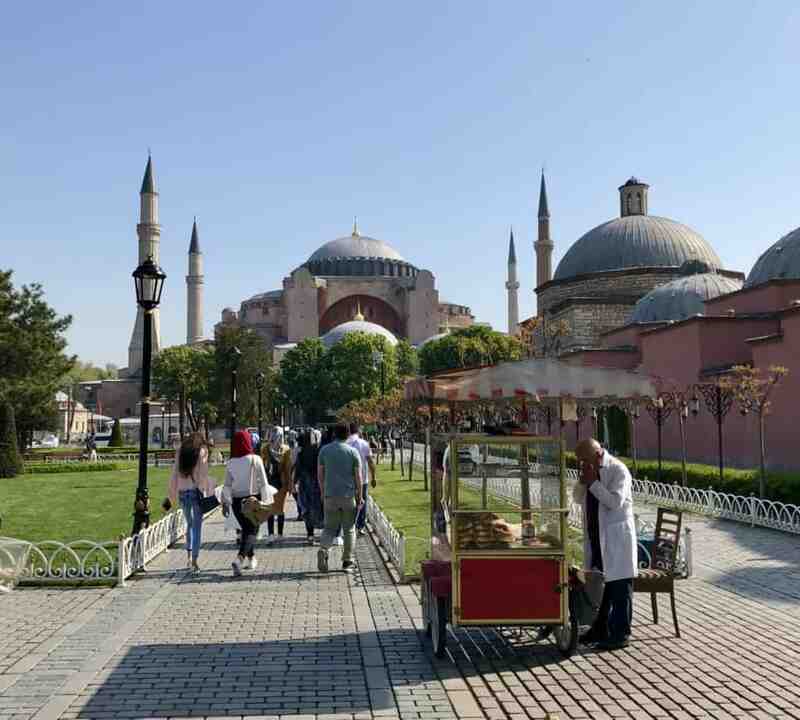 When you get out, don’t forget to take a minute to appreciate the view looking toward Hagia Sofia, and also back toward the Blue Mosque. On a beautiful day, it’s quite a treat! 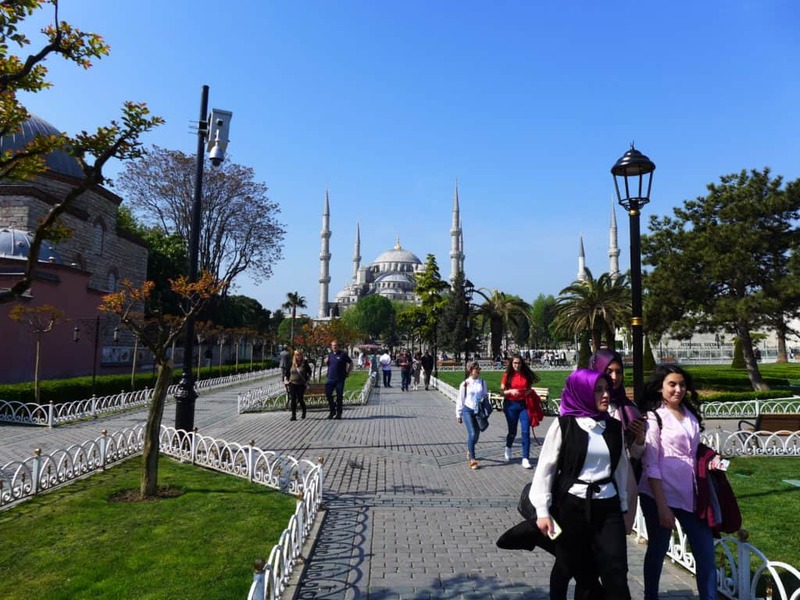 Sultanahmet Park, if the fountains are on and it’s a nice day, is perhaps the best photo op of both Blue Mosque & Hagia Sophia (that’s where the pic at the beginning of the post was taken). You can go out and see the Hippodrome right after this. It will only take a second, there’s a cool Egyptian obelisk and a few other things, but honestly this was really underwhelming. I vote move on. 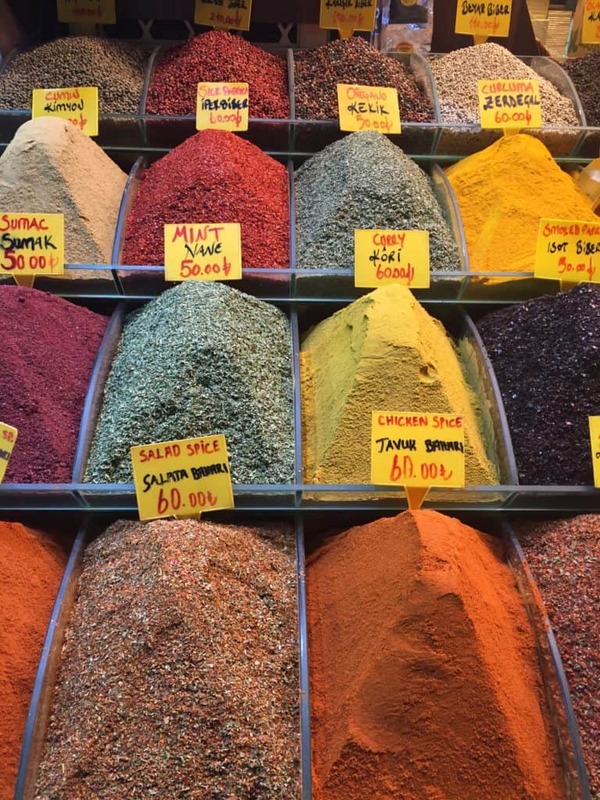 I am on the record as being a much bigger fan of the Spice Market than the Grand Bazaar. It’s a little less insane and slightly easier to find. Spend a half hour wandering down the different lanes and delighting in the vast array of spices, nuts, chocolates, ceramics, candies, and so much more. 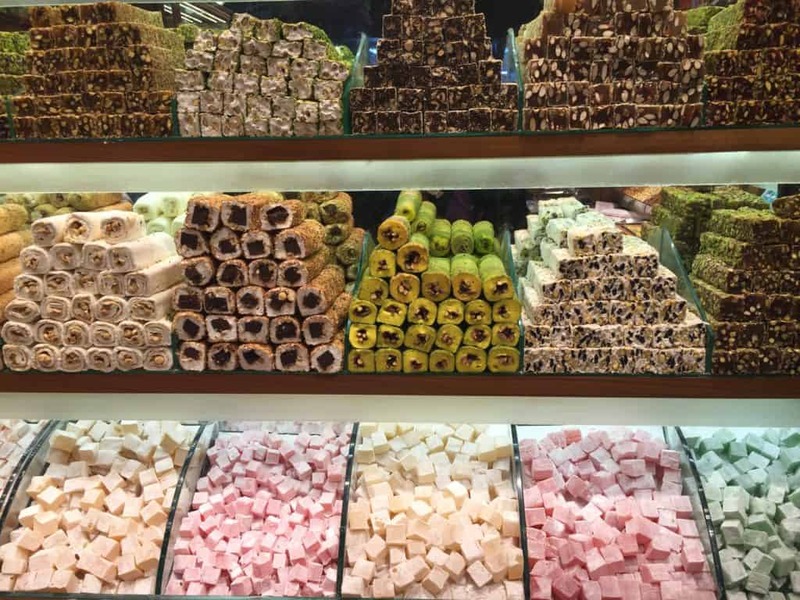 I highlight some of my favorite souvenirs in this post about what to buy when in Istanbul. 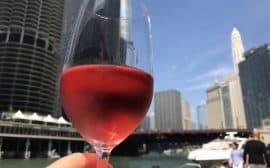 People recommended sticking to the main thoroughfares, to get better deals and quality (the further you go onto side streets and alleys, the dicier it can get). If you’re in the market for perfume, there’s a lovely little perfumer called Arifoglu that I highly recommend. You can pick from dozens of scents, or ask them to mix one for you to find your signature scent. The market is open Monday through Saturday 8a-7:30p, and Sunday 9:30a-6p. We grabbed a traditional balik ekmek (literally, “fish in bread”) at the fish boats of Eminonou. It was a cool experience and the ambiance in the square was perfect on a pretty day. I mean, that lunch view. Food-wise though, these sandwiches are bland and a bit challenging to eat, and occasionally suffer from little bones. Honestly not my fave. Those donuts, on the other hand, are BOMB. Somebody was just wandering around selling them. This one is a little more of a trek, just because the hill it’s up is a bit more steep. 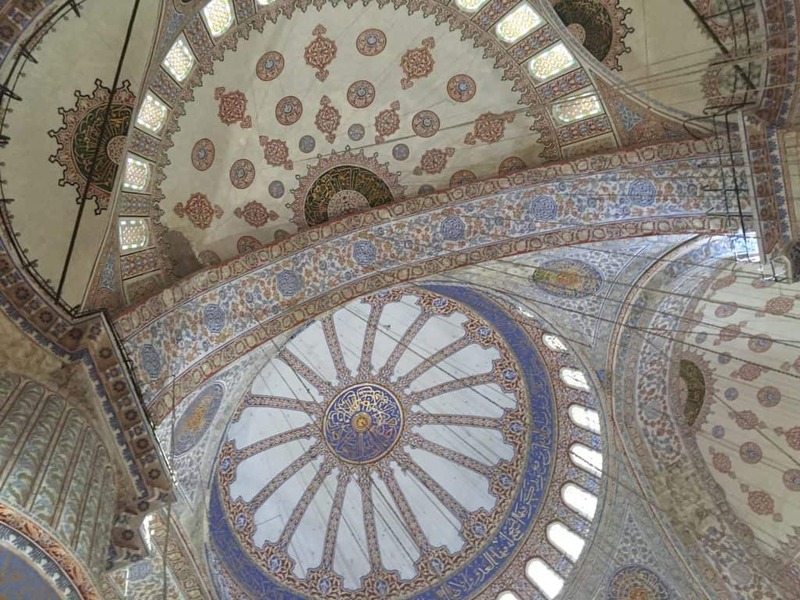 If you’re super strapped for time and can only hit one mosque, make it the Blue Mosque (unless it’s closed). But if you can swing it, this one is really stunning in its own right, and worth the trek. 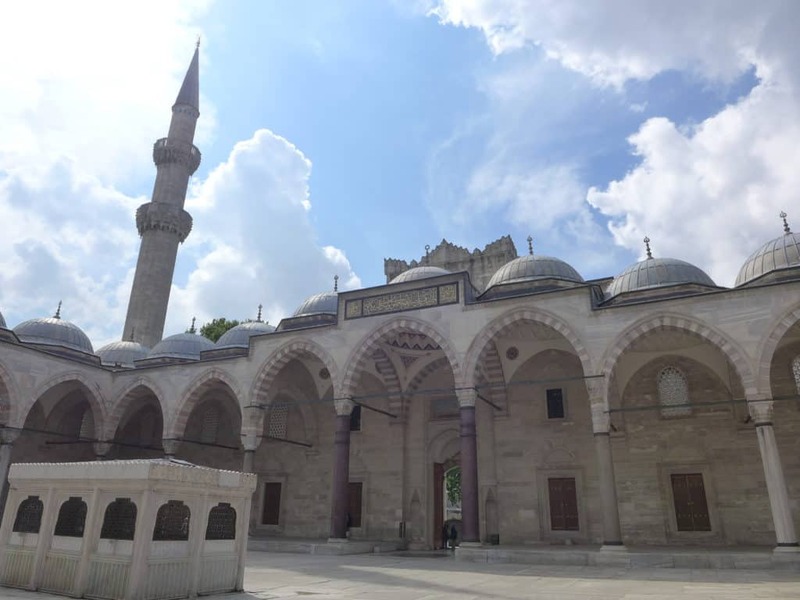 Designed by the great Sinan in the 16th century and sitting atop one of the seven hills of Istanbul, Suleymaniye Cami (the Mosque of Suleyman the Magnificent) is beautiful. 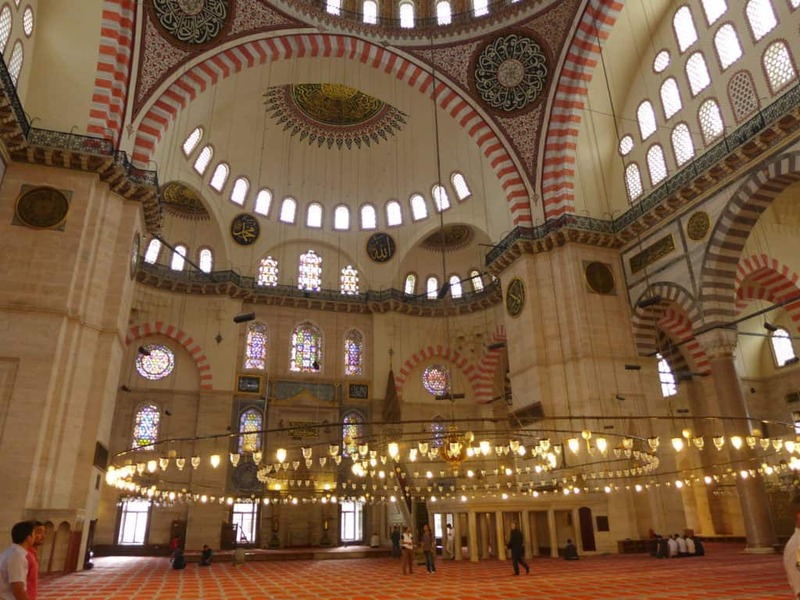 The mosque is free to enter, open one hour after sunrise and closing one hour before sunset. It also closes five times daily for prayer, so you have to work around that. 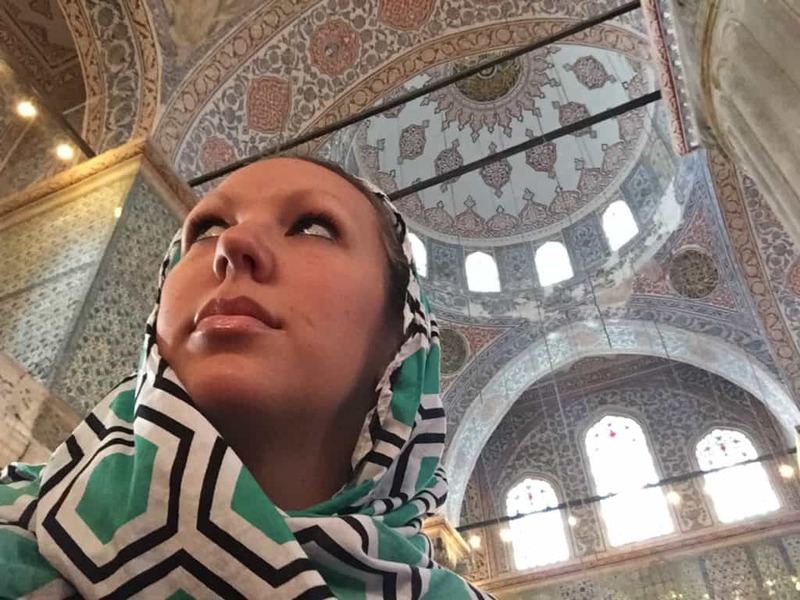 The same dress and cultural rules outlined above for the Blue Mosque apply, and they don’t (as I recall) provide pants-clad women with a skirt. There’s also a great view off the patio behind the mosque, so make sure you get back there after you’re done inside. I didn’t love any of my pics from it, but a perfect way to spend a few minutes on a nice day. In my opinion, totally skippable. There isn’t anything here you can’t get at the Spice Market, probably for less and in less chaos. But if you want to visit just to say you did (which is why I did it), I’d recommend just doing a quick walk-through—like 15 minutes and then be on your way. If you want the real bazaar experience, try something more like Arasta Bazaar (right behind the Blue Mosque). The Grand Bazaar is open Monday through Saturday, 9-7, and closed Sunday. Make sure you do a LOT of haggling—you should get at least 30% off the price here. 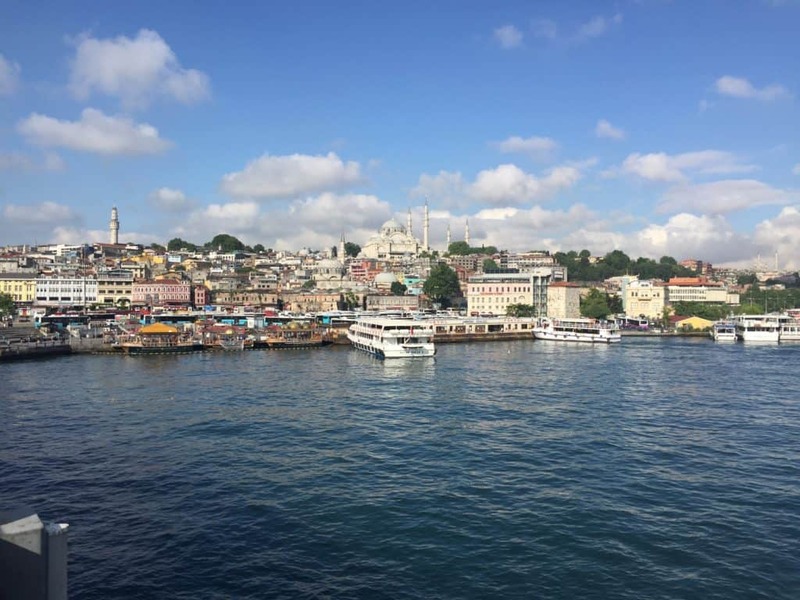 Finally, one of my absolute faves, and high on the list of what to do in Istanbul whether it’s your first or tenth time! If you have more than one day and have the luxury of a slower pace, you don’t have to cram this in. But if it’s a beautiful day I highly recommend taking the ferry over to one of the neighborhoods on the Asian side. It’s not really about the destination, it’s about getting out on the water and enjoying the beautiful views. You can literally just see what boat leaves next and hop on, then turn around and come back. 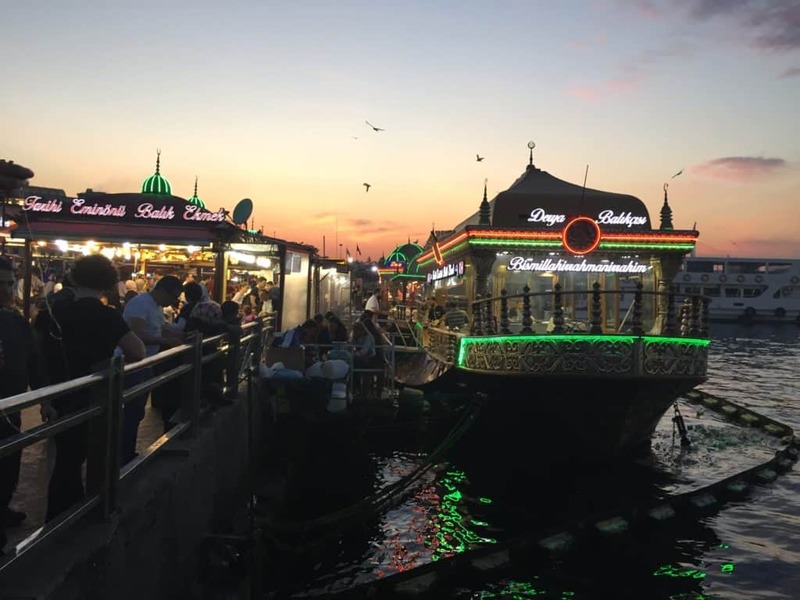 Or you could head over to Kadiköy to walk around the food markets (make sure to stop at Honeyci for some yogurt and honey, and Ciya Kofresi or Ciya Kebab for an amazing meal). 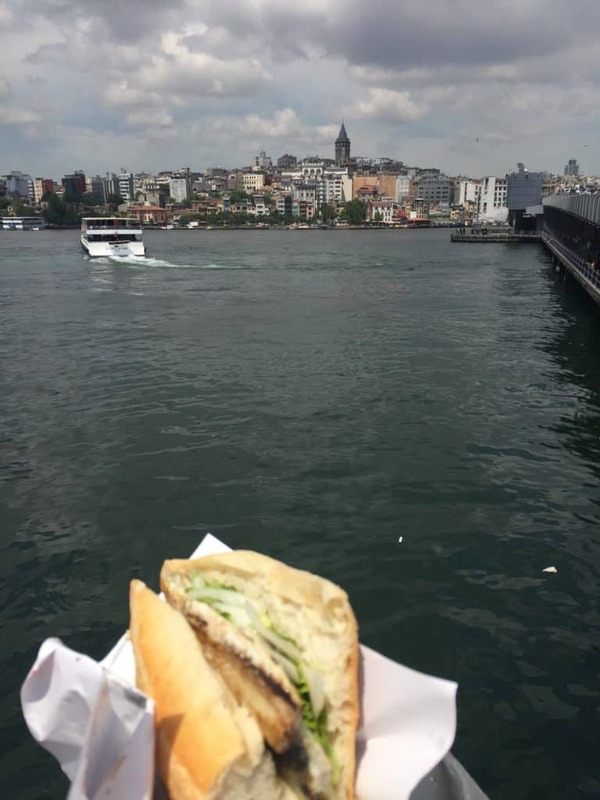 OR you could take a walking food tour, like the one we did—it was one of the best parts of my trip to Istanbul. 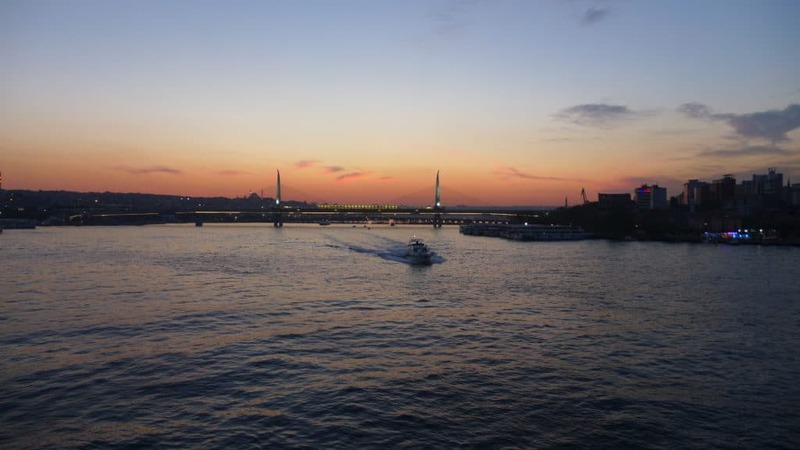 You could also take a ferry around sunset and enjoy the gorgeous sunset that way. 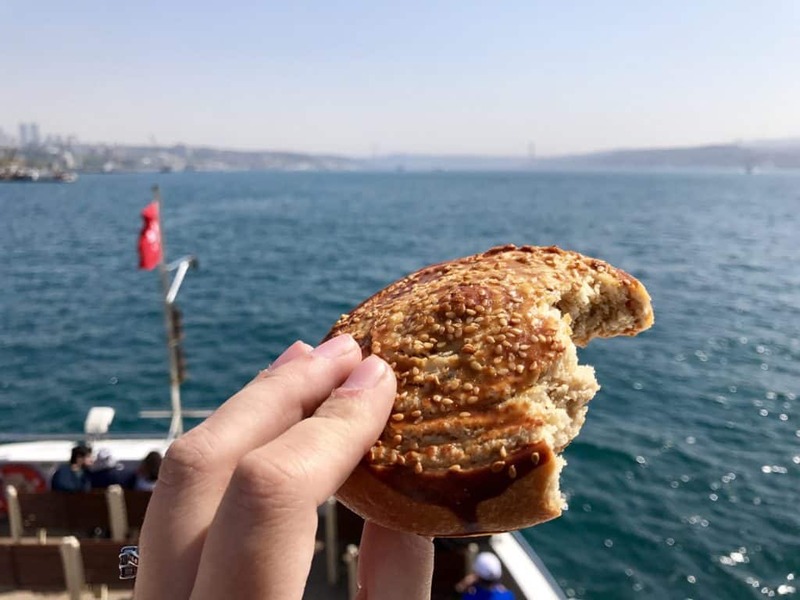 Snacks are essential in my world, so I grabbed some baklava and this sesame pastry from Hafiz Mustafa to tide me over as I enjoyed the sunshine and wind (ha, I just typed “wine”, which is definitely a Freudian slip…). Being here at sunset the first time was a happy accident, one that we made sure to repeat the following evening. We actually had a dinner destination near Taksim Square picked out, but ran into some demonstrations that we didn’t feel comfortable going through, so hiked back down the hill to see what we could find for dinner. 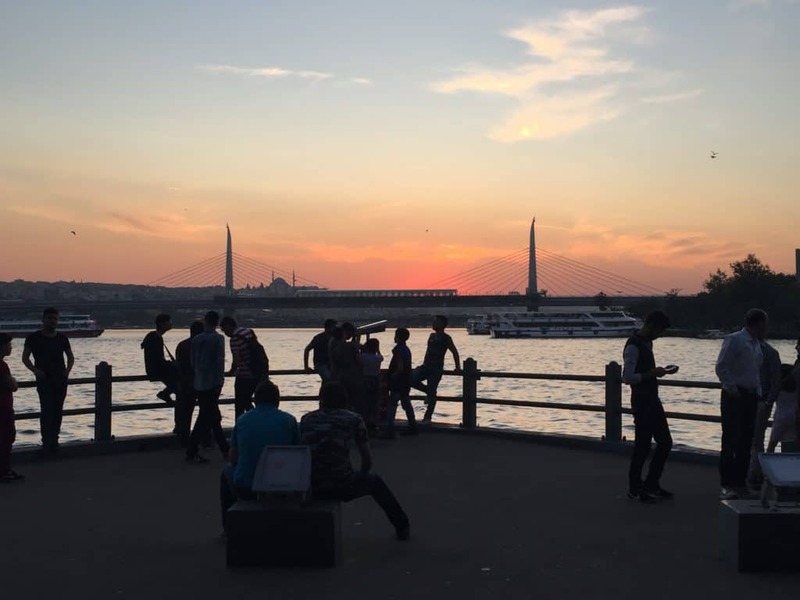 We got waylaid by this stunning sunset, however, and so followed the steps down to the platform under Galata Bridge and enjoyed the sunset from start to finish. I happened to grab a video of the sunset call to prayer at the New Mosque, which I’ve embedded below to give you some of the ambiance. 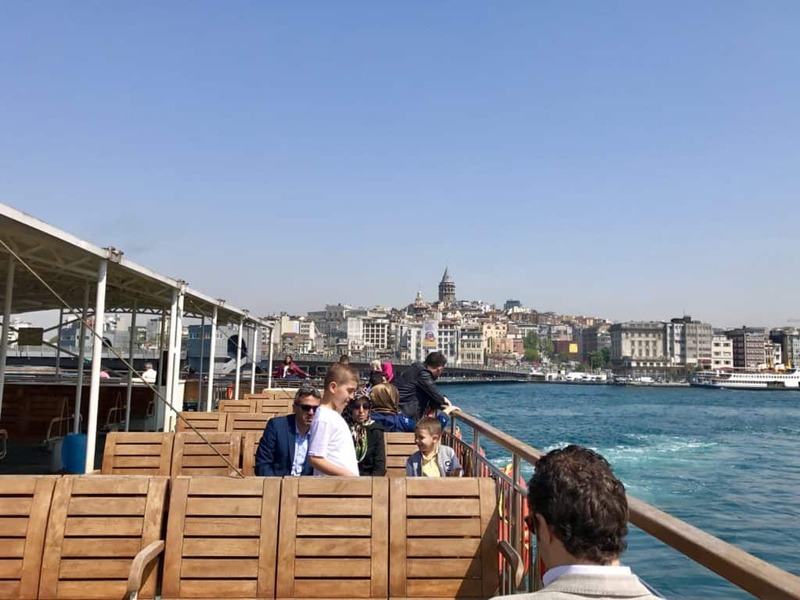 So there you have it—an action-packed but totally doable itinerary if you only have one day to experience the awesomeness that is Istanbul. 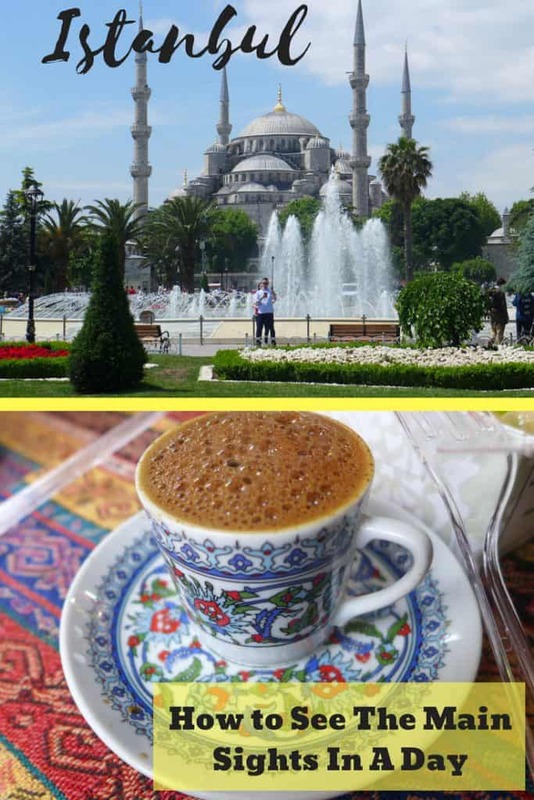 Do you have any other tips for what to do in Istanbul if you only have a day or two? Hit me up in the comments, I’d love to hear them! !